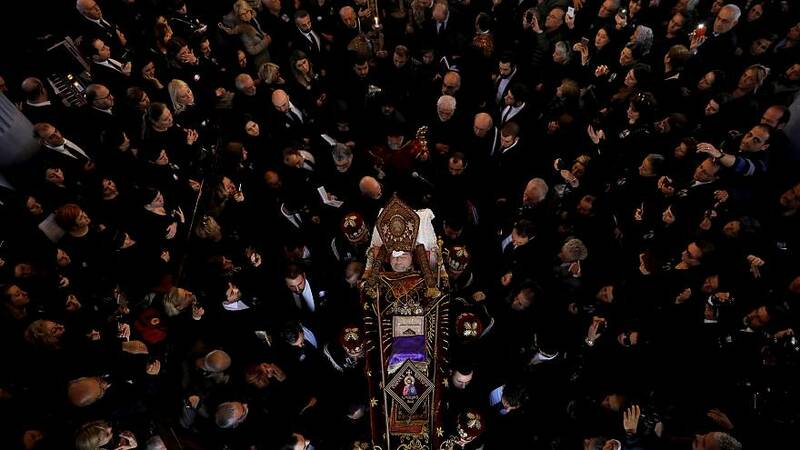 Mourners gathered at the Armenian Patriarchate in Istanbul on Sunday for the funeral of their spiritual leader, Mesrob Mutafyan. Patriarch Mesrob, who was 62, had been incapacitated with early onset demenita since 2008. Archbishop Aram Artesyan took over as acting patriarch for Turkey's Armenian community, which numbers some 70,000 people. Preparations for the election of a new patriarch will begin after a 40-day period of mourning. Turkish authorities last year blocked attempts to elect a new patriarch, on the grounds that Mesrob was still alive. As a senior figure in the Armenian community, Mesrob had long been the target of death threats and lived under police protection for years.